Harry Potter is one of the best fantasy series/books in general, so anyone who’s ever had anything to do with it is someone to get excited about. While he’s not J.K. Rowling, Jack Thorne might just be the next best thing. It’s been announced that the writer will be adapting a different fantasy novel trilogy for television in the form of Philip Pullman’s His Dark Materials. According to Wales Online, Jack Thorne will help bring the His Dark Materials trilogy to television along with producers Jane Tranter and Julie Gardner. Tranter and Gardner are former BBC executives who helped relaunch Doctor Who in 2005, and have worked on series such as Torchwood and Da Vinci’s Demons. Jack Thorne is a BAFTA winning screenwriter best known for his work on the television series Skins, The Last Panthers, and the This is England series. Perhaps his most exciting credit, though, is that he worked alongside J.K. Rowling to write Harry Potter and the Cursed Child, the live stage play that continues the story of Harry Potter several years after the ending of Harry Potter and the Deathly Hollows. He basically worked on the closest thing we have to an eighth book. Coincidentally, the His Dark Materials trilogy was also adapted into a play, back in 2003. The His Dark Materials Trilogy consists of three books: Northern Lights, The Subtle Knife, and The Amber Spy Glass. The story follows Lyra, an orphan “who lives in a parallel universe where science, theology and magic co-exist.” The His Dark Materials Trilogy was adapted into a film in 2006 called The Golden Compass, starring Nicole Kidman and Daniel Craig. You may remember it as that movie with the talking polar bears. 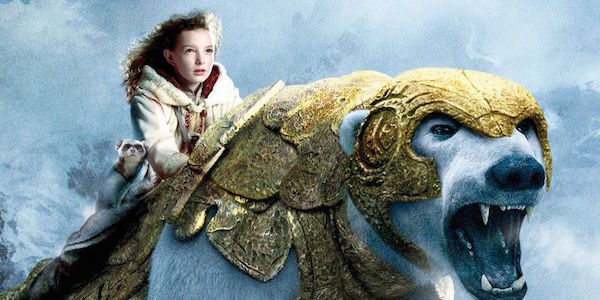 The Golden Compass was based on the first book, The Northern Lights and seeing as how the rest of the trilogy was never made, it didn’t really impress anyone. The books have proven to be more popular than the movie, which has been published in more than 40 languages and has sold 17 million copies. Television is becoming the hot spot for fantasy novel adaptations, where the length of a TV season better fits in all the material of a book than a two-hour movie. The success of Game of Thrones is proof enough of that and other series have followed suit such as MTV’s The Shannara Chronicles. There’s no word on a premiere date for the adaptation yet but keep checking in to Cinema Blend for more updates on the His Dark Materials television series.